Raw prevents Worms. Read and watch the video on canine deworming. 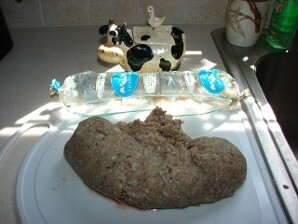 If you feed dry dog food is suggest VICTOR. 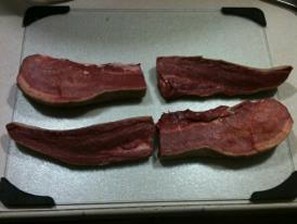 This is my own research for feeding a raw diet. 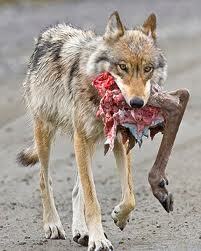 the wolf packleader eats all the organs in the cavity before eating any muscle meat. This is proven in over 350 studies by wolf experts. I do not follow all the other people's online assumptions of what they think they know about feeding a raw diet. I base my knowledge by reading the studies on wolves. 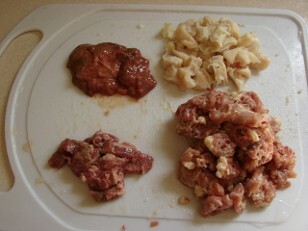 I have a good access of beef, chicken, deer, quail, rabbit or buffalo. I have a list below of the foods I would approve. 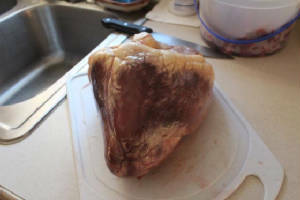 The picture left was only 1 liver and 12 hearts. in each compartment. Feed the puppy 2 compartments a week. 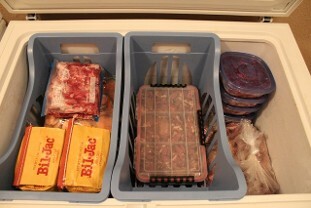 Once it is frozen it will come out like a popsicle. It fits nicely in your freezer. We purchased the container at Bass Pro Shop for $11.99. 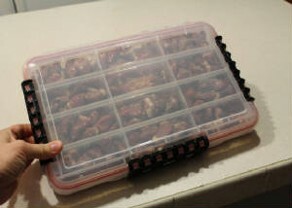 It is actually a water proof fishing lur box. 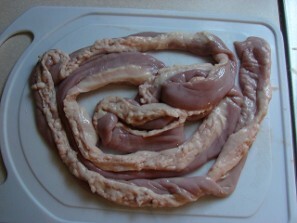 Green tripe is the unprocessed, unbleached, and unscalded stomach of ruminant animals. It is usually beige, gray, or black in color, and contains gastric enzymes as well as partially digested plant material. 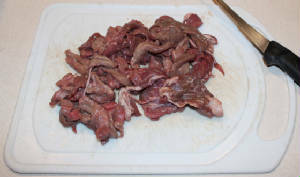 Grass-fed green tripe will usually reflect a green tint or sheen from absorption of the animal's natural diet of grasses. I do not agree, as some say, this is a complete balanced died to feed tripe only to your dog. 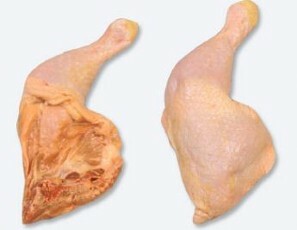 Carnivors eat bone for the marrow, and muscle meat for protien. Bone also has lots of natural calicum to help the dogs joints grow and form. 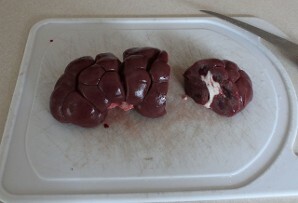 Liver is high in iron that helps oxygen to parts of the body for growth. 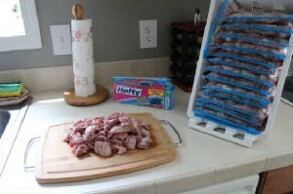 The picture left was only 15 lbs of gizzards. I still had 15 lbs left to separate and bag. 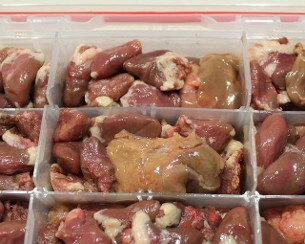 The amount of gizzards in the picture will last me 2 months with five dogs. 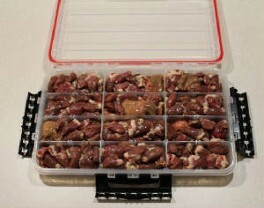 Only a few gizzards a week is needed to balance the ratio with meat muscle protien. 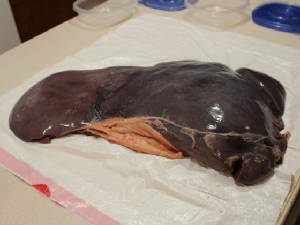 The picture is the entire liver. 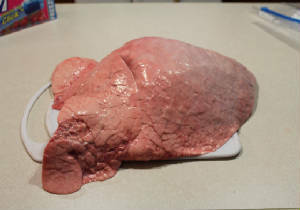 After separating and bagging the liver it gave me 10lbs. There is a book 2003 "Wolves: Behavior, Ecology, and conservation" that is compiled of 350 years of research, field observations, and experiments. here is a Quote take from chapter 4, The wolf as a carnivore. "Wolves usually tear into the body cavity of large prey and...consume the larger internal organs, such as lungs, heart, and liver. 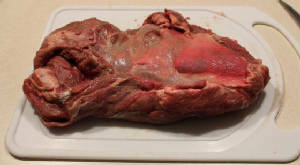 The large rumen [, which is one of the main stomach chambers in large ruminant herbivores,]...is usually punctured during removal and its contents spilled. The vegetation in the intestinal tract is of no interest to the wolves, but the stomach lining and intestinal wall are consumed, and their contents further strewn about the kill site." "To grow and maintain their own bodies, wolves need to ingest all the major parts of their herbivorous prey, except the plants in the digestive system." 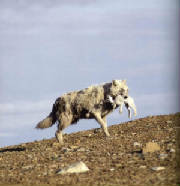 "Wolves predominately prey on hoofed animals including Deer, moose, Bison, Elk, and caribou. 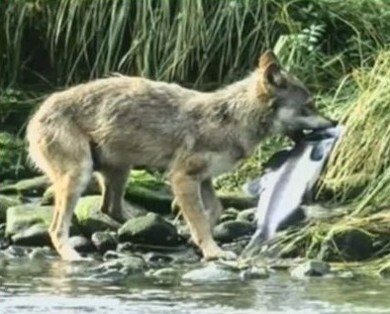 Because wolves usually hunt for large animals, (although wolves are opportunistic and will eat smaller prey) they work together to catch their prey. 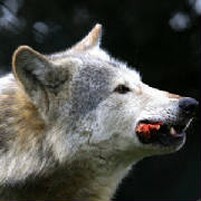 Wolves will eat a healthy, strong animal if they can catch it." 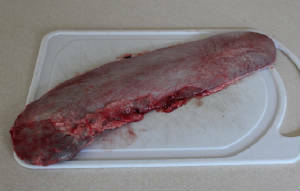 "One of the most odd part of the diet of wolves is fish! Biologist Bod Bromley once observed a wolf in Canada's Northwest Territories catch five fish in fifteen minutes in the Talston River." 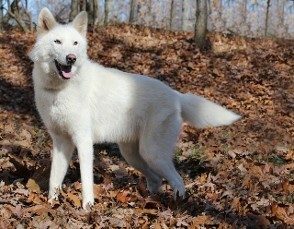 Dogs have not been removed to far from wolves, they still require the need for meat, bone , and organs. Dogs have not been domesticated to change there nutritional needs. They still cannot utilize vetetables as efficiently as meat. The thylacine (Greek for "dog-headed pouched one") was the largest known carnivorous marsupial of modern times. It is commonly known as the Tasmanian tiger (because of its striped back) or the Tasmanian wolf. The Tasmanian wolf or Tasmanian tiger is not a wolf or a tiger, it is a marsupial. The body resemles that of a placental wolf and the skull resemles a canid.